Capital City Folk ‘n Oi! Now I know we’re not really allowed to have favourites and we are suppose to be ‘objective’ and all that but there’s a handful of bands that can do no wrong for me at all and if they released an album full of techno songs then I have a feeling i would still bloody like it. One band, for example, is The Rumjacks and another, you may not of heard of, is The Scally Cap Brats from Ottawa, Ontario, Canada. Formed in 2010 out of a chance meeting between Mike Pusiak and Mike Eff they quickly discovered a mutual love for punk, Oi! and celtic music which led to talk about starting a band. They got together in Mike Pusiak’s basement and began writing songs and learning a few traditional tunes. Over time members have come and gone and now the current lineup of The Scally Cap Brats is Mike P – vocals and guitar, Mike F – mandolin, Danny – drums, Collin – bass and Chris – guitar. In the spirit of Oi! music there’s no gimmick with The Brats and what you get is just good time music that will have you both jigging and moshing your brains out. the Scally Cap Brats signature tune! This is the Brats follow up album to their debut ‘Let us Drink, For We Must Die’ back in 2012. The bhoys self funded ‘Our Storied Past’ along with their fans via an Indiego campaign where fans could buy special Brats gifts or get the album on pre-release. Previously they have also released three well received EP’s that have fired The Scally Cap Brats into the top division of celtic-punk. The album kicks off with ‘Our Storied Past’ and fast and furious mandolin competes with an old-school traditional Oi! sound that will certainly blow any folky cob-webs away! Next up is ‘Barry Square’ and the tale of a group of the bands friends who found themselves held up at gunpoint in Hartford, Connecticut. ‘Going Down The Line’ reminds me of the Charm City Saints and is a real celtic-punk classic but with a punk rock chorus. The mandolin could get lost in the mix and hdespite having t compete it comes across really clear in the mix and stands out proud. Mike P’s vocals are of the raspy shouty sort and they work really well. Close harmonies may suit some celtic-punk but not this celtic-punk! ‘Two Chord’ continues with the mandolin put away and its heads down for some more catchy punk. The mando is back for ‘Claw And Dig’ and a slight ska beat soon changes into the Brats fastest song before slowing right down again. One of the albums standouts for me. As soon as ‘Take Me Away’ starts you can hear the Irish tune hidden inside the punk tune and with some one guesting on bagpipes makes you wish they had a permanent piper. This leads onto ‘The Shiner’s War’ the albums most overt celtic-punk song. The mando is turned up to eleven and its all about the working class on this one and how we always get shafted! ‘Help Our Heroes’ returns them to harder territory and tells a story of a friend who joins the Army and whose life takes wrong turns and who ends up homeless. Catchy as hell and with a strong message. ‘You Never Know’ and ‘Yankee Jim’ has Mike P sounding like a forty cigs a day man while ‘No Matter What’ returns them to celtic-punk again with mando leading the way. With the LP drawing to a close ‘Lonely Days And Drunken Nights’ ensures it’s not going to be going quietly and Mike F’s mandolin starts ’18th To 21st’ off before the band blast into what could be an early-Murphys ‘Do Or Die’ era song. The final track ‘Dress Sharp, Drink Hard’ is a proud skinhead anthem that The Cockney Rejects would be proud of. Yet more catchy punk with a shouty gang chorus to raise your pint in the air and is an absolutely brilliant way to end ‘Our Storied Past’. Fourteen tracks and near forty minutes of music that in the end blends Oi!, celtic, Rock’n’Roll, punk, folk and pretty much everything else in between. The Scally Cap Brats are impossible to pidgeonhole into one sound and their appeal as a band reflects that. There is nothing too overly complicated here I am sure the Bhoys won’t mind me saying but its done with gusto and the music is pure energy and blue-collar pride. 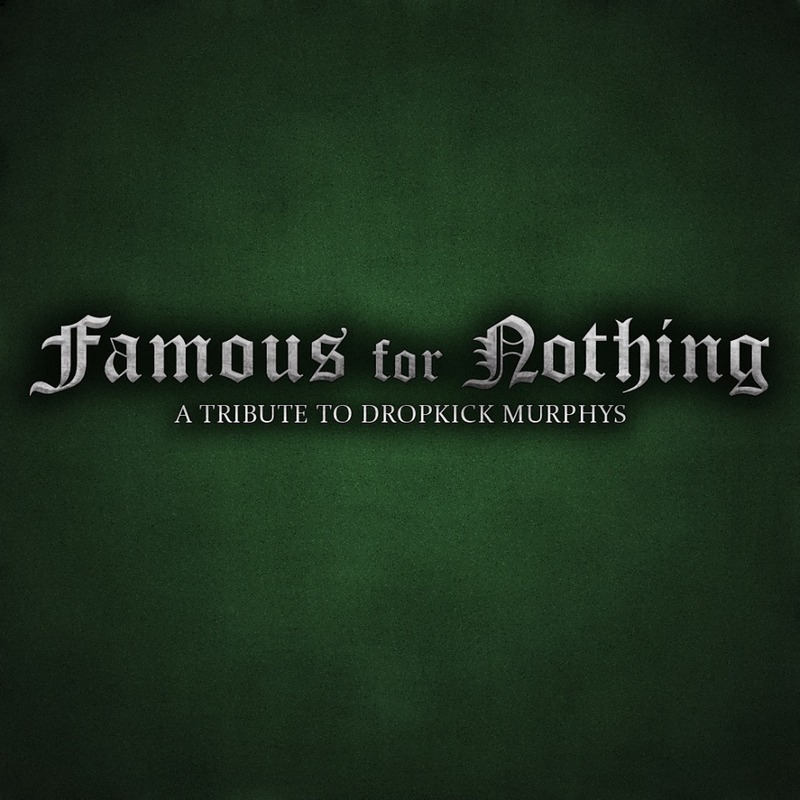 If as I say early-Dropkick Murphys is yer thing then I swear to God you will fecking love this as much as I do. 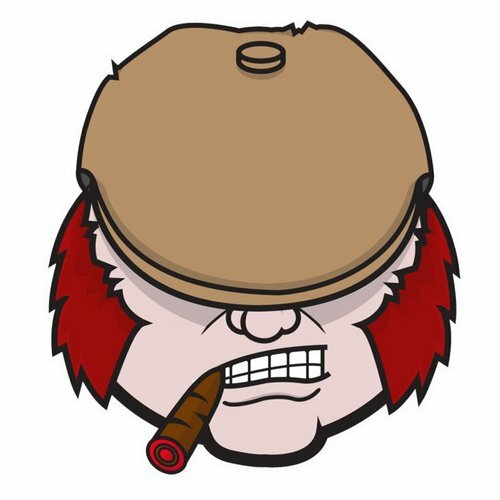 you can read our article on the Scally Cap Brats indiego campaign to raise money to record ‘Our Storied Past’ here. There’s a full biography of the band and much more music!! For the last couple of months Canadian celtic-punkers The Scally Cap Brats have been working on a new album called ‘Our Storied Past’ and will hopefully be released in October through their own label Take A Shot Records. Over the next 30 days of the campaign, we’ll be releasing more details like the song titles, and artwork so stay tuned for that as well. So here’s your chance to help out one of the best bands in the scene and give yourself a nice warm feeling of helping others! 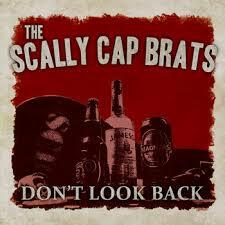 The Scally Cap Brats formed in the summer of 2010 out of a chance meeting between Mike Pusiak and Mike Franey. They quickly discovered a mutual love for Punk, Oi! and Celtic music which led to talk about starting a band. The original lineup was then solidified by the fall, with Kevin Grace on Drums and Katherine Maziec on bass. Soon after, a set list was completed. This set would include traditional folk songs, aggressive folk punk, and many songs with an Oi! Influence. It was soon time for the first show, in Ottawa, at Maverick’s bar. No one was sure what to expect beforehand but the band took to the stage with a vengeance, making an immediate impression on the attendees. The Scally Cap Brats tore through their set, bursting with energy and excitement that had the crowd clapping and dancing along all night. After the first show The Scally Cap Brats went on to celebrate St. Patrick’s day by playing two nights at Zaphod’s Beeblebrox. The first night, March 16th, saw the Brats opening up for Celtic Punk legends The Mahones; The second night, March 17th, saw them honour St. Patrick alongside local Oi! juggernauts, the Rookers. 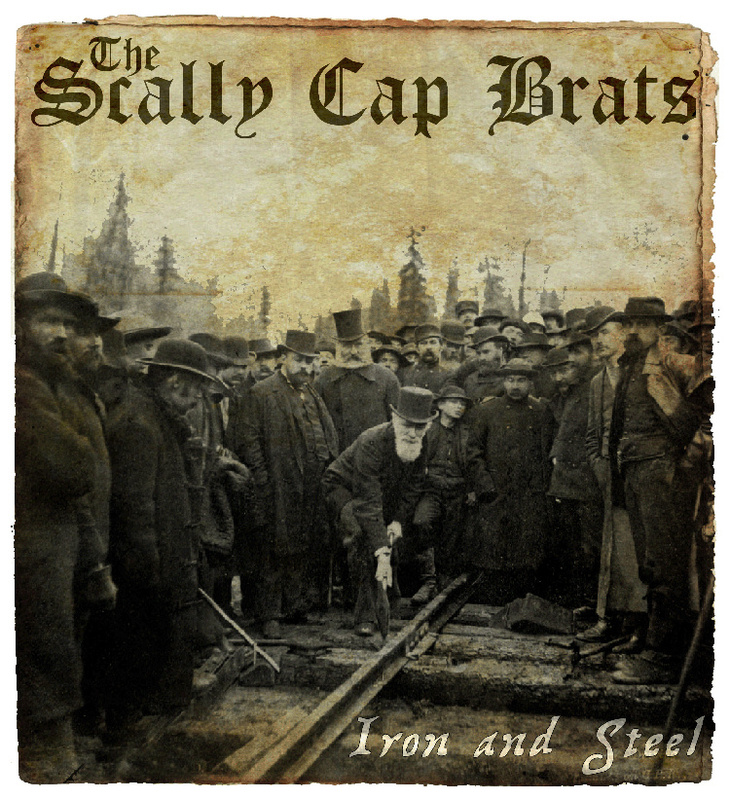 It was the beginning of a momentous start for the Scally Cap Brats as they quickly began making a name for themselves throughout the city and beyond. With 2012 came several lineup changes Danny DeVille (The Matadors, Sick Sick Sicks) joined the band on bass for a brief period before moving behind the drum kit, while Collin Hanes of Murder State agreed to fill in on Bass. Just one month after Danny’s arrival, The Brats entered the studio to record their debut album, “Let us Drink, For We Must Die”. A 12 track effort featuring catchy celtic riffs, pounding bass, and sing along choruses. You can hear the influence of bands such as Dropkick Murphys, Street Dogs, Stiff Littler Fingers, The Dubliners, and Stan Rogers, yet also hear the band’s own unique voice coming through. The release of this album was celebrated on September 14th, 2012 alongside their good friends, Machine Gun Dolly. The show turned out to be the most raucous, beer soaked show to date for the band, yet it is still just the beginning. 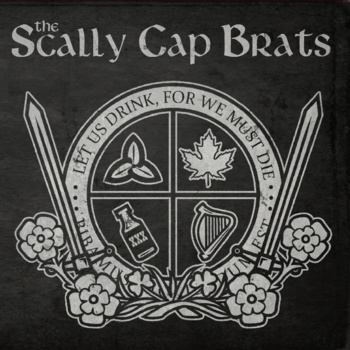 Since their first show in February of 2011 The Scally Cap Brats have shared the stage with bands such as The Mahones, Matadors, Koffin Kats, 3tards, The Dreadnoughts, The Oppressed, Prowlers, Planet Smashers, Razors in the Night, Bishops Green and King Size Braces. 2014 will see the release of the band’s second studio album, to go along with their previous 3 EP’s and debut full length. The band’s expanded sound will be showcased, bringing to light a harder edge and mature undertones which will make the album a unique experience that builds on their first but also outshines it in every way. In order to do this, and to bring that same feeling to their live shows, the band also welcomed Christian Rapley this year, on rhythm guitar, to fill out their sound.